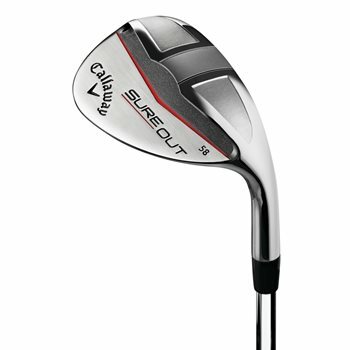 Sure out Wedge is great because of how forgiving and having a 64 degree loft really helps with getting enough loft and back spin. This club gives me great confidence in the sand trap. Out of the trap with 1 stroke 3 out of 4 times which is a great improvement for me. Love my new club, getting ready for new golf season in Maryland. Price could not be beat $99 ?? need to find ahead cover for? This club is sweet! Not a Callaway guy AT ALL, but love this wedge. As advertised....OUT every time. So easy to hit. Love that the grooves go across the entire face.